I recently wrote this post about Bitcoin, the blockchain and cryptocurrencies for Traversing Tradition. I explain what the technology is, the idea and justification behind it, and some of the issues it comes with. I also talk about how we often get taken in by hype related to technological progress, which arguably applies to other things such as AI and Internet of Things as well. Anyway, read, share and leave your feedback! The rise of cryptocurrencies in 2017 brought attention to the technology powering them, called “blockchains” or “the blockchain.” This article will assess why this technology became popular and what kinds of problems it both solves and creates. Blockchain is best explained through analogy. Think of the website of a newspaper like The New York Times. The contents of the site are stored on servers in a centralized location. Imagine if instead of that, everyone had a full copy of the site stored on his computer with no central server. Every article, comment, and image was there. If a reporter wanted to submit a new article, he would have to get the approval of the rest of the journalists (perhaps in some automated way). Excellent article by Diverging Thoughts, do check it out! And very relevant to the current American/Western Muslim discourse. DT is an intelligent, articulate young man and definitely worth following. Also a quick update on the evolution post series: I’m currently working on part 5, which will probably be the final part, but it won’t be out till after Ramadan In Sha Allah. I recently wrote this post about AI over on Traversing Tradition. Please check it out, share, and leave any questions or feedback in the comments! You’ve probably seen the videos. A robot walking or crawling around, sensing its environment and figuring out how to do human-like tasks, such as opening doors. They’ve even learned how to do back flips now. The videos go viral on social media every few months, along with terrified reactions about how “the robot overlords are coming,” “we might as well submit now,” and so on. Back-flipping bots aside, it makes sense to learn more about robots, automation, and artificial intelligence (AI). The website “Wait But Why” has an in-depth article on this topic , which discusses how AI is catching up to humans and in fact will eventually overtake us. Others have commented on the concept of the “singularity,” which is where AI will reach a point where it can self-improve, creating explosive increases of intelligence . Reblogging this… A very interesting and informative post about colonial and post-colonial Algeria. The author is a young Algerian-American Muslim woman and she’s worth following, Ma Sha Allah. Good list of books related to Islam for beginners as well as intermediate & advanced learners. This is an old but good post (from April 2010) by Sana Saeed. She describes what happened when she attended a lecture by Salman Rushdie at her university. I could definitely relate to her feelings about Rushdie before the lecture, and was pleasantly surprised at how the lecture unfolded. For some reason I wasn’t surprised at what he said in the Q&A though. 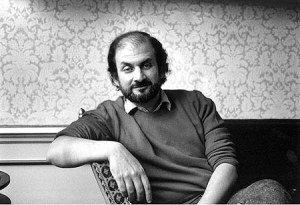 Amongst the most memorable names to cross my ears as a child, growing up in a South Asian Muslim household, was that of (sir) Salman Rushdie. There was always an air of frustration, anger and utter hatred that seemed to accompany it’s mere mention by those of my kin. I was unaware, as a child, precisely what all the fuss was about. 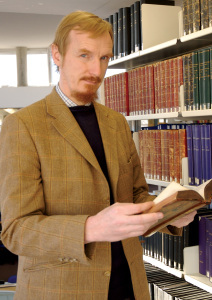 What I ended up gathering from the various snippets of conversations and outbursts was that he was a writer who had written some sort of novel in which the Prophet Muhammad, alongside Islam in general, was portrayed in a most vile sense. The grouping of words of those around me – including the words of those on television who would discuss him – was enough to create an authoritative perspective on the issue that I slowly, with a naive mind, took on as my own.